Komakino Store - Vancouver CA. While searching for information about the label Komakino I came across a boutique in Vancouver Canada coincidentally called Komakino as well. 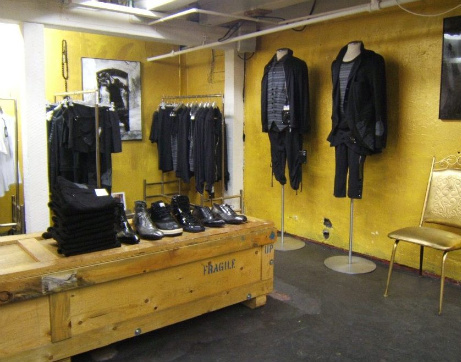 The boutique carries a broad range of high end labels including Ann Demeulemeester, Damir Doma, Gianni Barbato, Julius, Number (N)ine, Passarella Death Squad, Raf Simons, Rick Owens, Sak, Simeon Farrar, The Viridi-Anne, and Undercover. 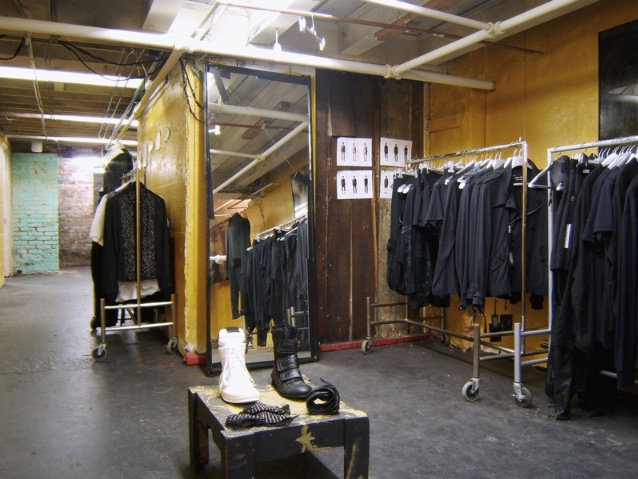 It seems the idea of the Guerrilla store started by COMME des GARÇONS. I just want to point out they have a very functional and visually simplistic online store located here. The Komakino Gurrilla Store is located 109 West Cordova St Gastown Vancouver Canada.